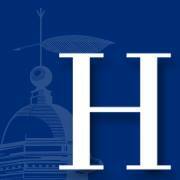 This campaign ended on March 01, 2016, but you can still make a gift to Hamilton College by clicking here! Starting with gifts from President Joan Hinde Stewart and Professor Philip R. Stewart at 6 a.m. this morning, we have exceeded our original goal of 1,812 gifts today. Thank you! Each gift was matched with $100 by trustee Aron Ain '79, P'09,'11. All gifts now continue to be matched with $100 by trustee Jack Selby '96 until Leap Day ends. #LeapForHamilton: A historic Leap Day seeking 1,812 gifts -- of any size, for any College purpose -- from the Hamilton community. Every gift received on this day will be matched with $100. Make the #LeapForHamilton today.